The now infamous Koch Brothers of Wichita, Kansas have been big political players in Wisconsin for years. Since 2003, they have made $160,500 in direct contributions to candidates and state political party committees - more than in any other state in the Great Lakes region and second only to Kansas in the entire midwest. Almost all of the money they spend in Wisconsin is not from Wisconsin. Their contributions have gone overwhelmingly to Republican and conservative candidates and committees (83.8 percent) since 2003 while contributing 16.2 percent of their total to Democrats. Their largest contribution was $43,000 from the Koch Political Action Committee to Scott Walker for his campaign for Governor last year. This became a big issue last month when Walker took a phone call from a prankster he thought was David Koch. In 2007, the Kochs sent $10,000 to Wisconsin Attorney General JB Van Hollen and another $2,500 in 2009. Also in 2007, the Koch Brothers sent $8,325 to the campaign of conservative state Supreme Court Justice Annette Ziegler and in 2008, $6,000 to conservative Justice Michael Gableman. The largest Democratic recipient of Koch campaign cash was former Governor Jim Doyle, who received $3,500 since 2003. 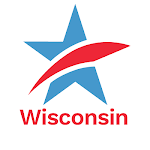 To view all of the Koch contributions to Wisconsin candidates and political party committees, go here. Thanks to the National Institute on Money in State Politics for setting up this useful tool. The Koch Family spends far more money in Wisconsin through making corporate contributions to outside spending groups such as the Republican Governor's Association. In 2010, the Koch Brothers contributed $1 million to the RGA, which in turn spent well over $3 million in Wisconsin supporting Walker and attacking the Democratic Gubernatorial candidate, Milwaukee Mayor Tom Barrett. The Koch Brothers are also the primary funder of "Americans for Prosperity" of Arlington, Virginia -- the group that has spent more money in Wisconsin promoting Walker's agenda here, than any other organization. Americans for Prosperity president Tim Phillips of Virginia was a close associate of convicted felon and Washington superlobbyist Jack Abramoff and worked closely with Christian Coalition and Religious Right operative Ralph Reed of Georgia. In an unprecedented action that shocked Wisconsin and the nation last night, State Senate Republicans voted 18 to 1 to pass the controversial budget repair bill by "stripping" away the monetary elements of the legislation and therefore negating the need for 20 votes to consider the bill. Discussions to plan and accomplish this action were held entirely behind closed doors and out of public view by Republican legislators and Governor Scott Walker on Wednesday before moving to clear their action in Conference Committee and in the State Senate - with only Republican Senators voting. Serious questions about compliance with Wisconsin's open meetings laws are raised by this action. A Conference Committee of the State Senate and State Assembly leadership was held with far less than 24 hours advance notice to the public that the conference committee would occur. Republicans claim that because the State Senate was in Special Session, that simply posting a notice prior to convening the Conference Committee was all that was required. But that contention is in serious dispute. Common Cause in Wisconsin calls on the independent Wisconsin Government Accountability Board to meet immediately in emergency session to determine the legality of last evening's unprecedented action. The Attorney General of Wisconsin and the Dane County District Attorney already have the responsibility to investigate this matter. All of them should act immediately to investigate and inform the citizens of Wisconsin of the legality of last evening's action. Outside of those who planned this shocking and unprecedented action -- including Republican legislators and their staffs and Governor Scott Walker and his office -- no one in Wisconsin knew this was going to happen in advance. The action is an assault on the right of Wisconsinites to know what their elected representatives in the Legislature and the Governor are doing prior to acting. It is an affront to Wisconsin's 173 - year - old tradition of open and transparent state government. All Wisconsinites also need to ask why Republican legislative leaders, with the complicity of Governor Walker, opted to act in this secretive and shocking manner. Did they fear that the citizens of this state would not approve of their action if it was taken in the light of day, with sufficient public notice? No doubt, many would have. But even more Wisconsinites should be outraged about the manner in which major public policy, with implications for our citizens for years to come, was undertaken last evening. The Government Accountability Board, the Attorney General of Wisconsin and the Dane County District Attorney should take immediate action to determine the legality and validity of the actions taken by the Conference Committee last night. One of the newest members of the Common Cause in Wisconsin State Governing Board, former State Representative (1975-1991) and State Senator (1991-1998) Calvin Potter of Sheboygan Falls, reminds us not to forget the good government tradition that used to be what people here and all over the nation thought of when they thought of Wisconsin. Here are his thoughts, as published in The Sheboygan Press on Sunday. As we listen to the public commentary surrounding the heated debate in Wisconsin's current political scene, one often sees a lack of understanding of the role of democracy, as well as too little knowledge of, and respect for, our state's unique political heritage. Improved literacy amongst the public and politicians would help resolve the present hostile situation in order to again have government focus on its true role as for, of and by the people. While Gov. Scott Walker was elected by 52 percent of the voters, it must be recognized that 48 percent did not choose his leadership and stand on many issues. While democracy is often touted as the rule of the majority, it is not meant to be the tyranny thereof. 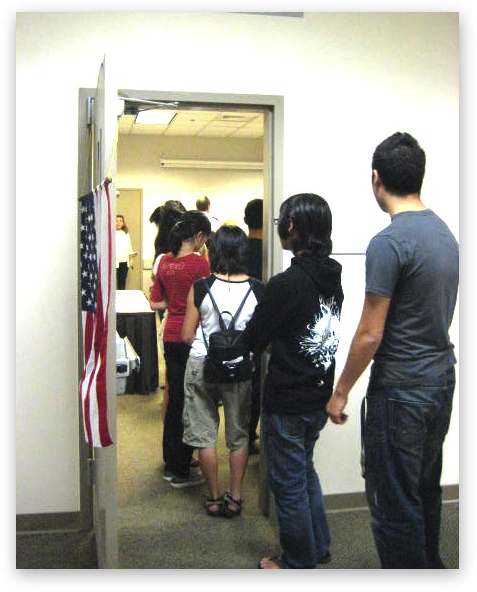 Democracy is as much, if not more, the protection of the minority and respect and consideration of differing opinions. We are a pluralistic nation and as we grow from 310 million people to 450 million in the next 40 years, we will see even more diversity. If we are to have our major education, infrastructure, health care, environmental, employment and many more issues addressed in a much more successful manner, the polarized opinion machine that has been unleashed in this state and nation needs to be tempered. Problem solving in a nation of diversity takes listening, discussion, appreciation and knowledge of differences and ultimately compromise. An attitude of my-way-is-the-only-way-and-all-others-are-wrong will only bring continued strife and ultimately a lack of problem solving. When Wisconsin celebrated its 150th anniversary in 1998, the observance commission published a pamphlet listing Wisconsin's "firsts," recognizing the uniqueness and leadership this state has held in this nation. The 1997-98 Wisconsin Bluebook Sesquicentennial Edition also contained a section that recognized "Wisconsin's Firsts." This included: worker and unemployment compensation, the progressive income tax, kindergarten and many other educational initiatives, consumer protection, open meeting and record requirements and ethics codes for public officials. The writing of Social Security and many labor and civil rights laws also have roots in our state. The list of progressive legislation cannot be matched by any other state. Today's generation of politician appears to be very lacking in the knowledge and appreciation for their political ancestors' work, too often seemingly determined to ignore and reverse those gains. Wisconsin is in a group of a handful of states which political scientists and historians recognize as special places of good government, responsive to the needs and wishes of their people, not just special interests. We are not a Mississippi, Alabama, Louisiana, or a majority of other states; and we should not want to be. We have been a leader in primary and secondary, academic and vocational education; protecting people's rights; recognizing the value of labor; holding high the expectation of good, clean and open government; and protecting our land, air and water resources to name just a few. These accomplishments have not been easy nor cheap, but have been good, special and the right thing to do. In a cheap labor surplus world of 6½ billion people, soon to be 9 billion, Wisconsin, a cold energy dependent state, cannot win the competitive race to the bottom. We should not even try. Yes, we must be frugal and use our limited resources wisely, but we need to play off our assets. A productive, well-educated work force, good infrastructure, clean environment, responsive government and we could go on, are what we need to build upon. Those who like the opposite can find scores of places to fit their model, but transforming Wisconsin to that lower tier should not be part of the agenda, in spite of the well financed efforts, advocacy and expectation of many special interest groups. Wisconsin labor bill: What happens now? The impact of the U.S. Supreme Court decision on Citizens United vs F.E.C on Wisconsin - good or bad? Redistricting reform in Wisconsin – if necessary, how do we do it? The disclosure of interest-group “phony issue ads” and other “outside” spending – is this necessary or would it stifle “free speech”? Public Financing for State Supreme Court Elections – is it working?